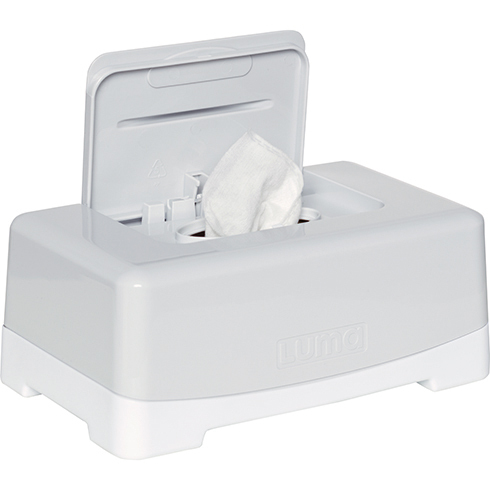 The LUMA wet wipe box cannot be missing on your dresser. This modern box is easy in use and looks great on top of that as well. 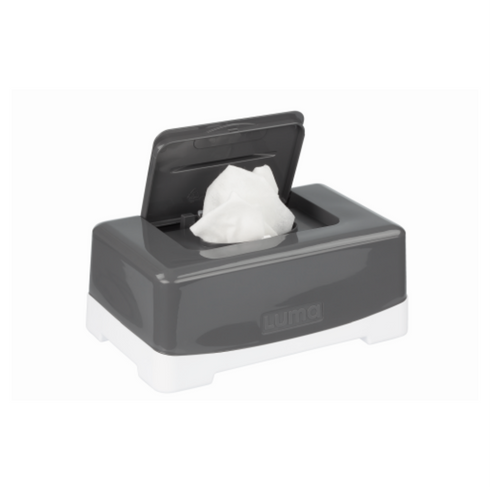 Easy to open and close with just one finger, so your wet wipes will never dry out again. 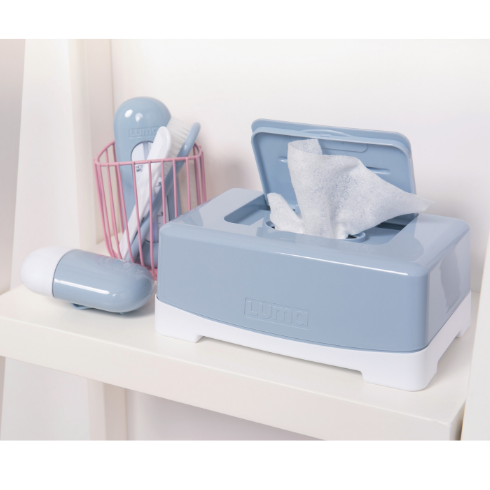 Because of its larger size you can fit all brands of wet wipes in it. Easily pull of the top of the box and put a new package of wipes in. 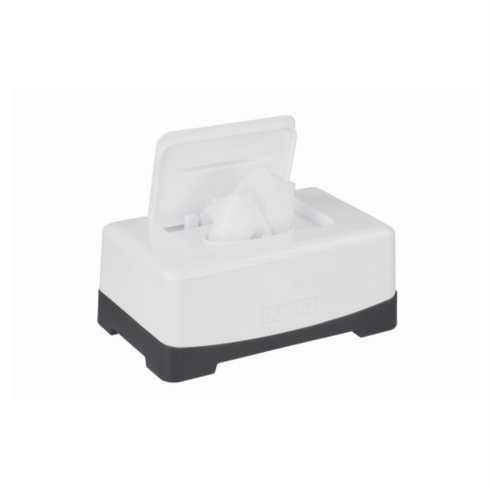 The box is available in five funky colours and part of a complete line of bath and care products.